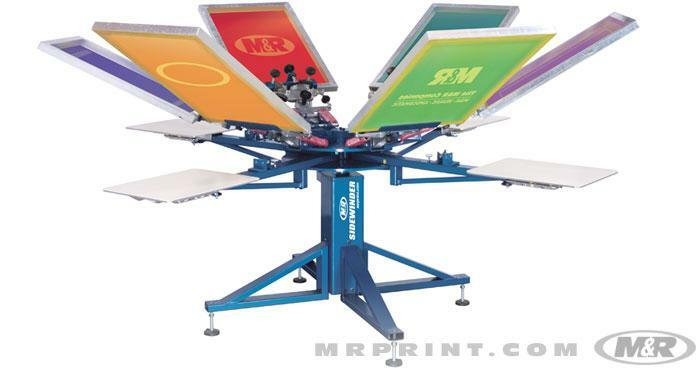 M&R’s manual screen printing presses are the finest T-shirt printing machines available. 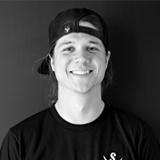 The revolutionary Chameleon is the world’s first Duo-Deck manual silk screen printing machine. 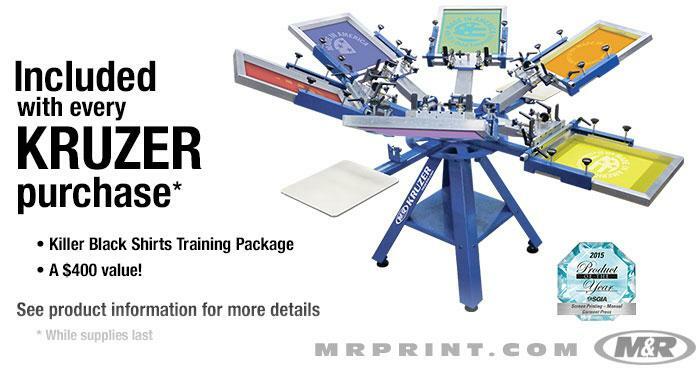 Kruzer™ is M&R’s most affordable entry-level manual screen printing press. Built with M&R’s rugged construction and innovative design, Kruzer includes numerous proven design features, including tapered-roller-bearing-supported upper and lower carousels, a precise micro-registration system, machined center shaft, and three-point pallet leveling system. Kruzer’s unique lever-adjusted off-contact system operates vertically, eliminating the need for a separate angle adjustment. Kruzer is offered in a 6-color/4-station model with a maximum image area of 41 x 46" (16" x 18") and a standard pallet size of 38 x 41 cm (15” x 16”). It’s designed to fit through a 78 cm (31") doorway when disassembled. With each Kruzer purchase, we’re including the M&R edition of Operation Screen Print: Killer Black Shirts by Dane Clement & Lon Winters of Graphic Elephants. The package is valued at $400, and is available while supplies last. 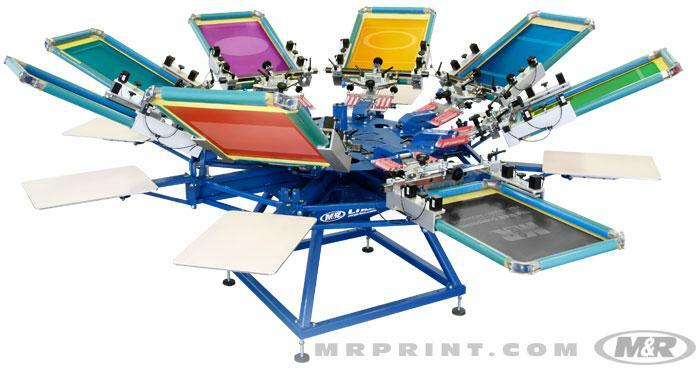 The M&R Genesis Manual Screen Printing Press makes it easier than ever to become a screen printing professional. Whether you are new to the world of screen printing or looking to launch your own business, the Genesis is the ideal solution. Unleash your printing abilities with the proven quality and precision of an M&R product. With the Genesis, you can produce high-quality prints at an entry-level expense. With a small footprint and tabletop mounting or floor stand option, the Genesis is sure to fit your shop and your budget. 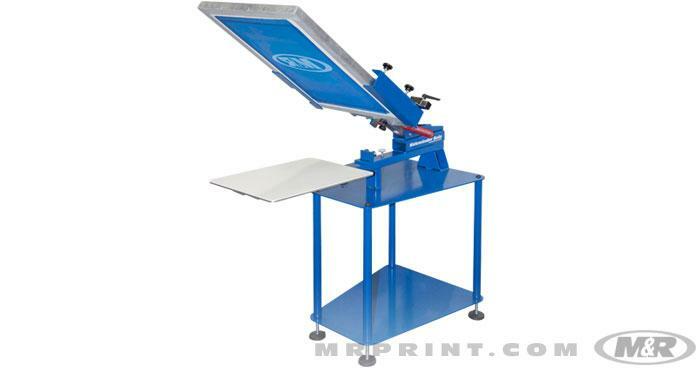 M&R’s popular Sidewinder™ manual screen printing press is available at an exceptionally affordable price. Built with M&R’s rugged construction and innovative design, Sidewinder sets a new standard for mid-level manual screen printing presses. It includes numerous proven design features, including multiple-bearing upper and lower carousel plates, precise micro-registration system, machined center shaft, and three-point pallet leveling system. Sidewinder comes in 4-station/4-color, 4-station/6-color, and 6-station/6-color models. Sidewinder Solo™ is M&R's low-cost modular system for a wide range of screen printing applications. It's a single-head version of Sidewinder, the world’s best mid-level manual screen printing press. 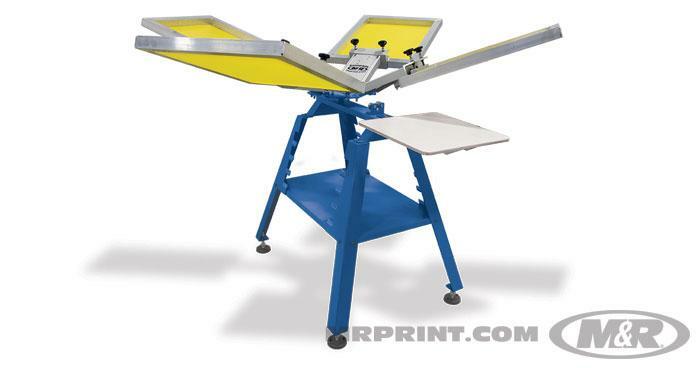 Built with M&R’s rugged construction and innovative design, Sidewinder Solo can be used as a tabletop one-color press or mounted on a floor stand. 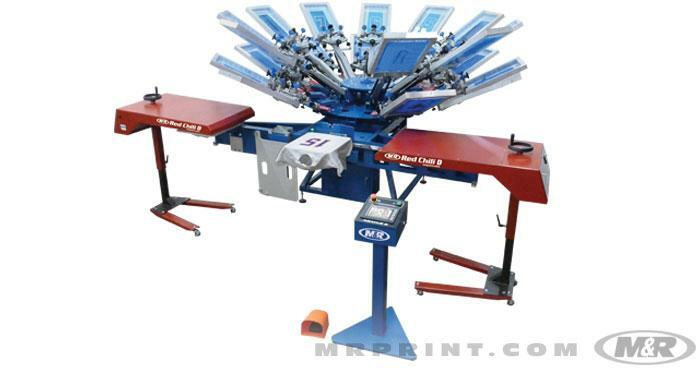 It can also be equipped with a vacuum pallet system for screen printing flat stock or with an extra-wide screen holder and pallet for screen printing oversize and all-over designs. With its revolutionary two-tier design, unrivaled expandability, and rugged construction, Chameleon® is without question the world’s best manual screen printing press for sampling and production. Chameleon’s two-tier Duo-Deck™, four and six-color manual presses can expand to ten colors and eight-color manual presses can expand to fourteen colors, all without expanding the footprint. M&R’s System Integration design allows Chameleon to integrate seamlessly with M&R’s Tri-Loc Rapid Registration System and all M&R automatic screen printing presses to create the most phenomenal registration/sampling/production system available. Abacus II™ athletic numbering press combines M&R’s versatile numbering system with the quality, performance, and durability of the unique Chameleon manual screen printing press. This unique two-station athletic numbering system features Chameleon’s 20-printhead Duo-Deck configuration, making it a breeze to print two-color numbers. Abacus II’s servo-driven indexing system, controlled by an advanced touchscreen user interface, allows perfect positioning of virtually any digit size or type. Unlike competing athletic numbering presses, there’s no question about which screen goes where in a master screen chase, nor about how to position an oversize screen containing multiple digits.